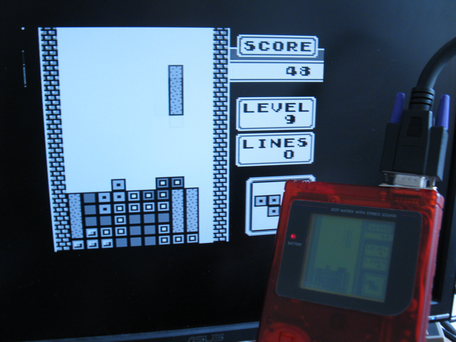 In this Tutorial I want to show you, how to build a VGA kompatible Game Boy. 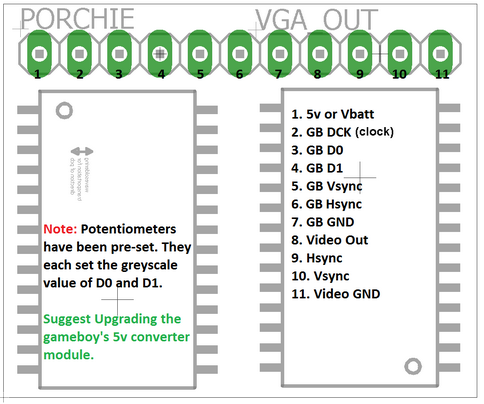 In this case I use a board made by Benn Venn named „Porchie“ VGA Out. 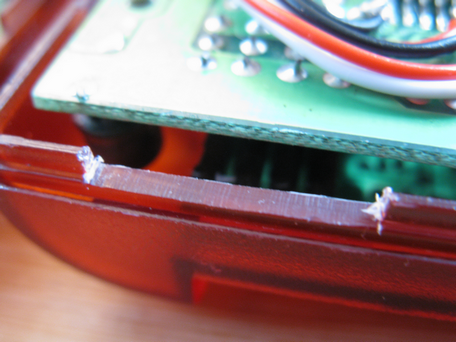 For me there was one last question, VGA external (in a box) or internal? 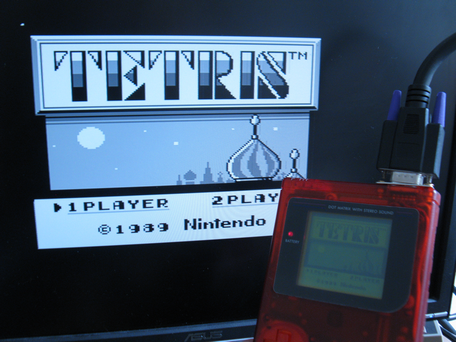 I decided to build internal VGA first, with a real VGA Plug at the top of the Game Boy. *This is just a „preview“ tutorial, it would be changed a bit in the near future! 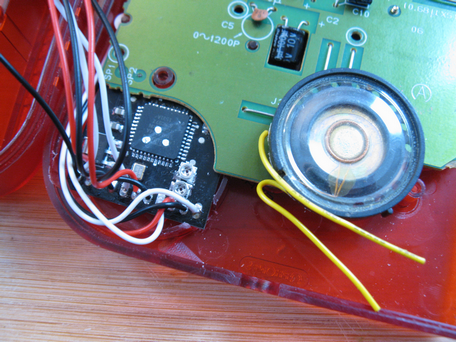 First, you shoud prepare the shell. So cut and grind a few things etc. 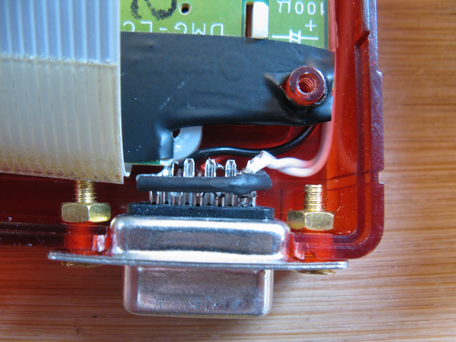 Here is some room for the VGA plug, for example. 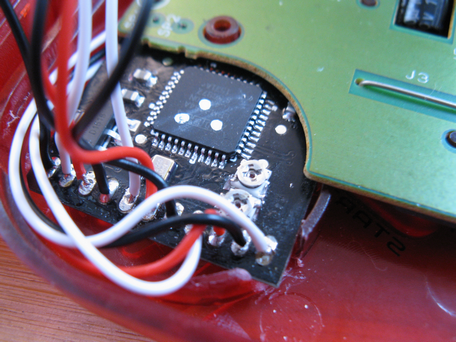 is enough space to fit in the VGA pcb easily. For sure you could put it somewhere else, but it would be a bit more tricky! Go on to the real build! 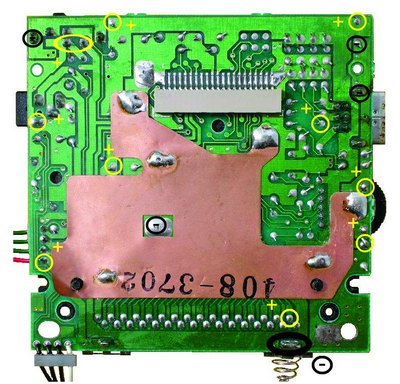 First you got to connect this 6 points with the VGA pcb. 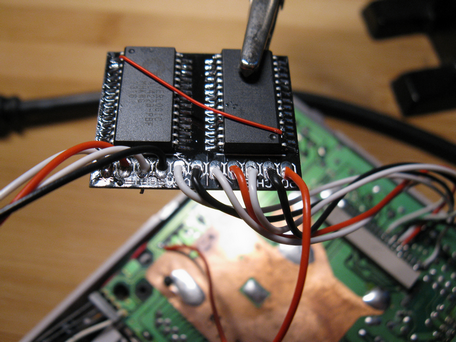 Next you got to connect 5V to te VGA board. 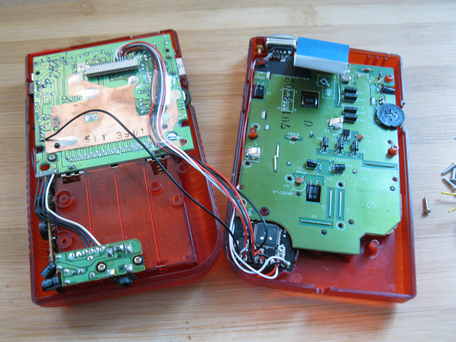 That could be done directly from the Game Boy, but it could cause some heating. 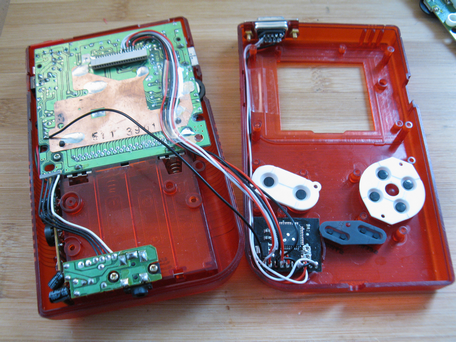 You coulkd also use an external power adapter, batteries or something else like this. 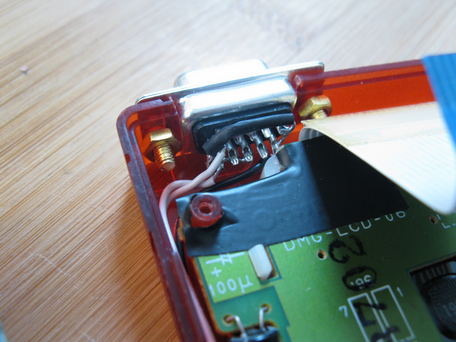 I grab the 5V directly from the Game Boy. 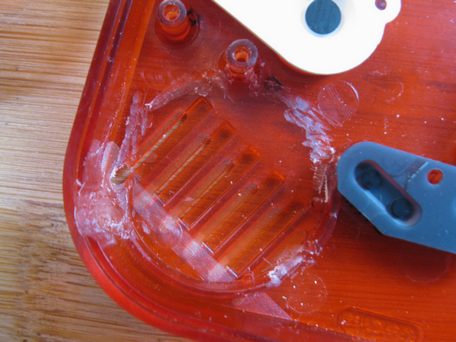 There are enough other points to grab 5V from the Game Boy! 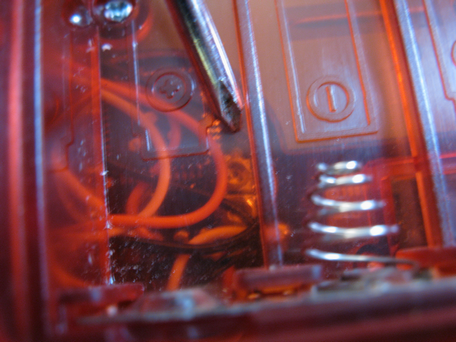 At the picture, the first 4 points go to the VGA plug / cable. 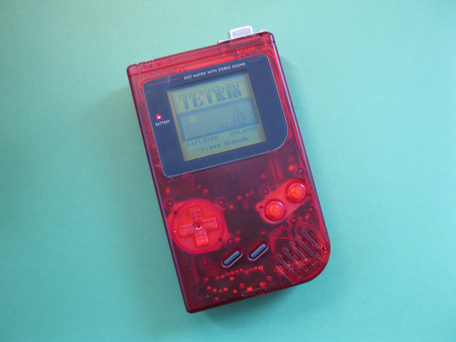 The next 6 points to the Game Boy. 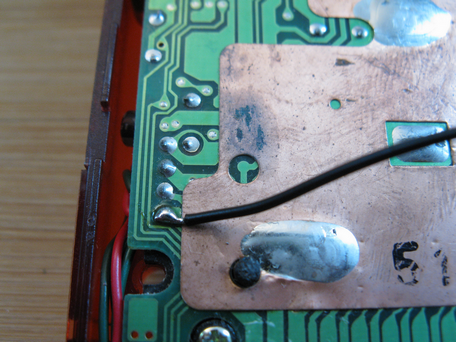 THe last point to 5V! Here again in a better form! 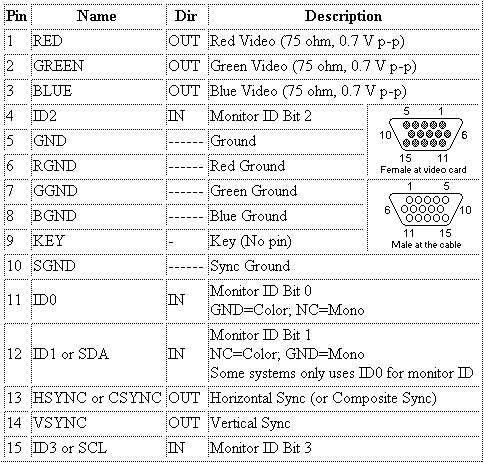 There will be many points connected to the 4 pins on the „Porchie“ VGA. because it would take much more room then. 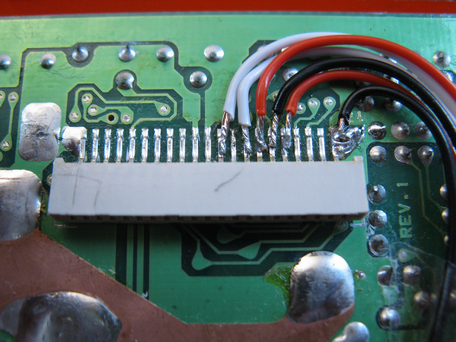 So I soldered everything directly to the VGA plug at the end. 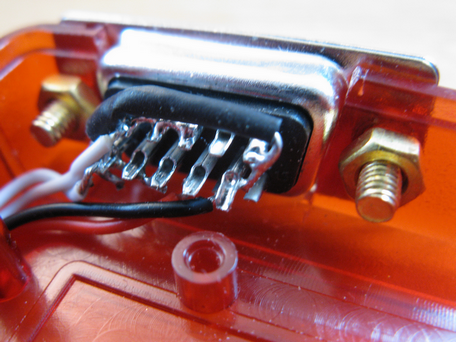 Therefor you got to solder some bridges to the plug! 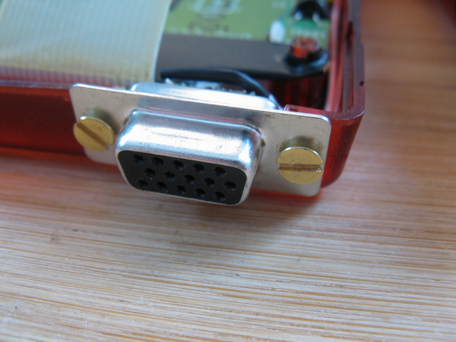 Here you can see in detail which pins of the VGA plug have to be used! 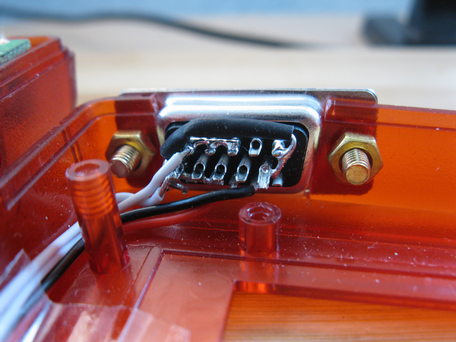 Here are the cables from the porchie to the VGA plug! 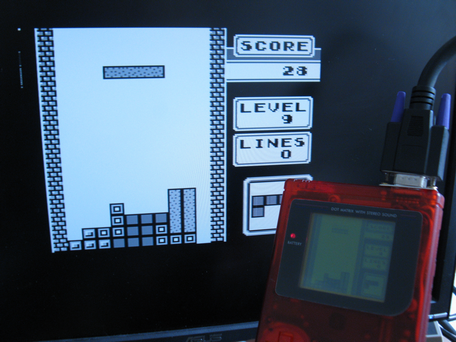 The finished VGA Out Game Boy! 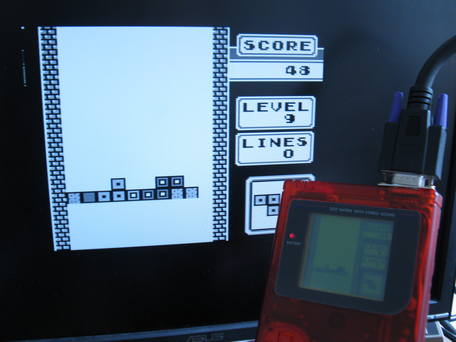 And the Game Boy plugged into a screen via VGA! 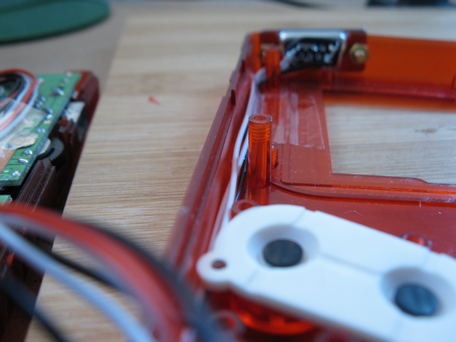 You can see really well here, that the timeing is fine! 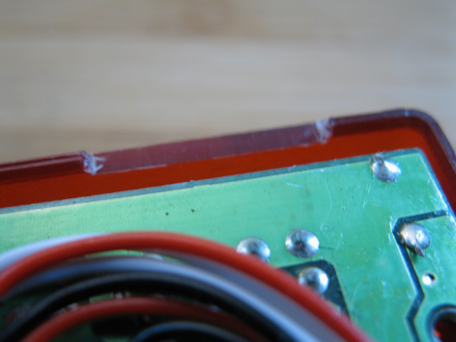 Optional, you could cut two little holes to have access to the potentiometers all the time. Ussully you will only set these once. Except yo want to change to an inverted picture from time to time. That would be easily possible then! PS: Here is a little timelapse video from the build [16x]!